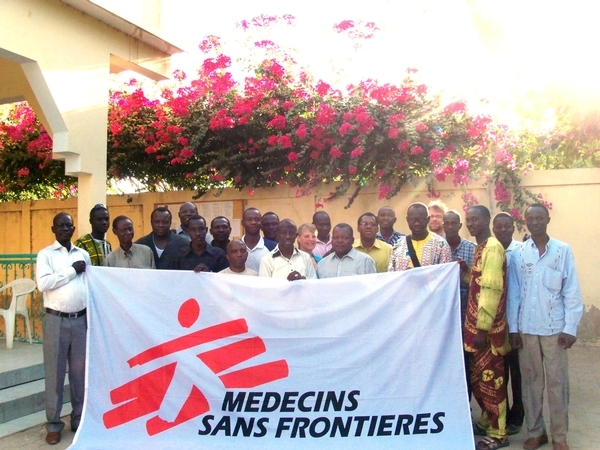 Médecins Sans Frontières (MSF) has just marked 30 years in Chad. Three decades ago, medical teams arrived in the country to provide aid to people displaced by civil war and to support the national health system which had been destabilised by the armed conflict. Today, in the bustling capital of N’Djamena, MSF team members ­– both old and new – are celebrating the anniversary. The past year has been particularly busy, with MSF running eight separate projects in 12 locations. This has included support to the Ministry of Health hospital in the town of Am Timan, in southeastern Chad, where the team delivered 1,700 babies, admitted almost 2,000 under-fives, and enrolled more than 5,000 children in a feeding programme. MSF also set up a tuberculosis programme, with 88 patients starting treatment. When the conflict in neighbouring Libya began, MSF’s response capacity was put to the test as thousands of Chadian migrant workers flooded across the border. MSF provided short-term medical support to three health centres in the north of the country, treating more than 3,000 returnees. At the end of 2011, MSF led a meningitis vaccination campaign in Mandelia district, 50 km from the capital, using a new vaccine known as the MenAfrivac. The mass vaccination campaign saw more than 100,000 people inoculated – equivalent to a coverage rate of 91 percent. The revolutionary new low-cost vaccine protects people from the disease for ten years as well as reducing the spread of the meningitis bacteria. In early 2012, MSF’s teams in Chad are preparing for possible new emergencies. With a potentially devastating drought hitting the Sahel region, tackling a major nutrition crisis is likely to be a priority, while outbreaks of cholera and measles are also expected.